The Black and Gold Style Fashion Show celebrated 40 years of style tonight. The annual Black and Gold Style features current players and their families modeling clothing from American Eagle, Nike, UPMC/UPMC Health Plan, and the NFL, benefitting the UPMC Sports Medicine Concussion Program and the Cancer Caring Center. 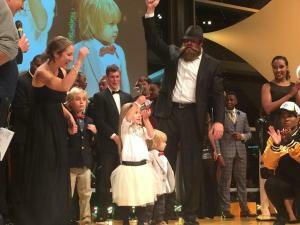 The event, chaired by Art and Greta Rooney, and Mike and Kiya Tomlin, included dinner and a high-energy runway fashion show extravaganza prominently featuring your 2014 Pittsburgh Steelers and their families. 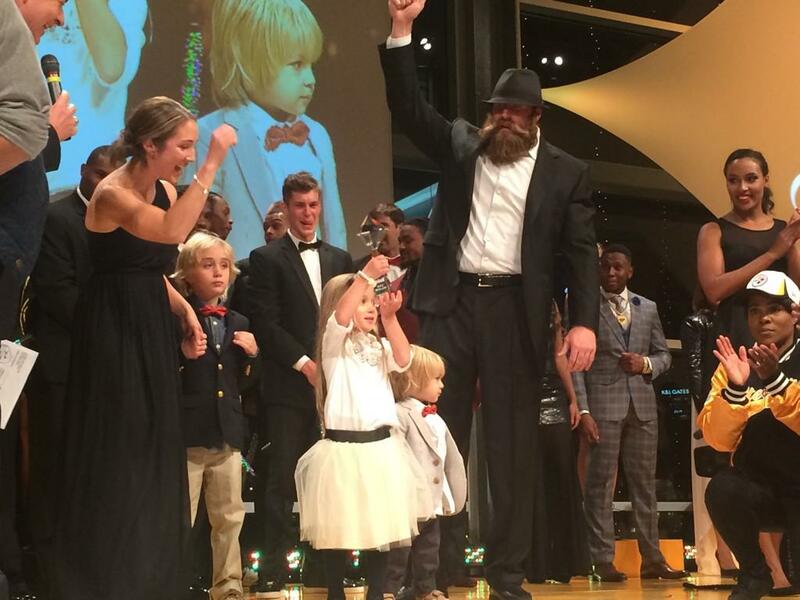 Congratulations to the adorable Keisel Kids: Jacob, Grace and William on winning the Junior SWAG Award! They are shown here with Brett and his lovely wife, Sarah. 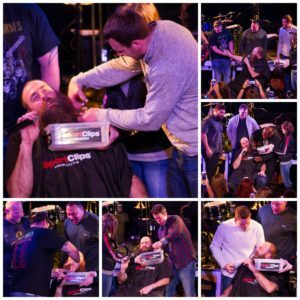 Thank you to Teresa Varley, the Pittsburgh Steelers, Sara Bauknecht (reporter/editor for @Pittsburgh PG, and to Lisa Pompeani for all their great photos! Read more on the event from Teresa Varley, Steelers.com.